Mercedes-AMG is working on a mid-cycle update for its GT sports car due in time for the 2020 model year. At the top end, we know AMG is planning a so-called “clubsport” package for the GT R model. But judging by our latest spy shots we could also be looking at a new six-cylinder option being added at the bottom of the rung. 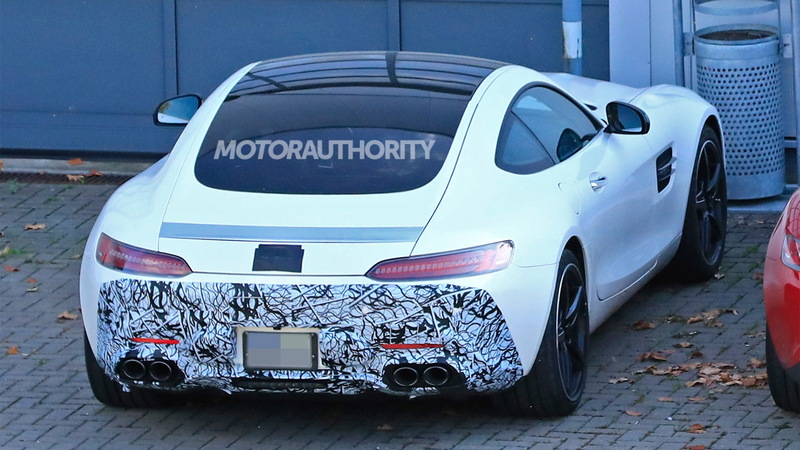 The latest prototype sports four round exhaust tips, a design that so far has only been used by AMG on cars with six-cylinder powertrains, like the recently revealed GT43 4-Door Coupe (shown below) and CLS53. 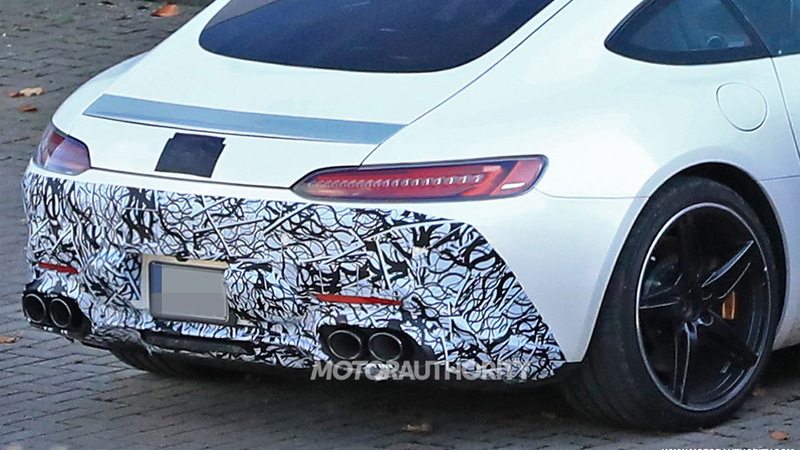 Earlier prototypes for the updated GT featured four square-shaped exhaust tips in the typical AMG style. It means that the prototype above could be fitted with a six-cylinder powertrain, specifically AMG's new 3.0-liter turbocharged inline-6 and mild-hybrid system. In 43 guise the powertrain delivers 362 horsepower and 368 pound-feet of torque, and in 53 guise it's good for 429 hp and 384 lb-ft. It's possible that the powertrain's output could be dialed higher to replace the 469-hp 4.0-liter twin-turbocharged V-8 currently found in the base GT, and hopefully bring a price reduction with it. An alternative could be that AMG isn't planning a new powertrain but is simply seeking to further differentiate its GT models. Currently, the base GT and sportier GT S and GT C models all sport the same rectangle exhaust tip at either side of their rear fascias. 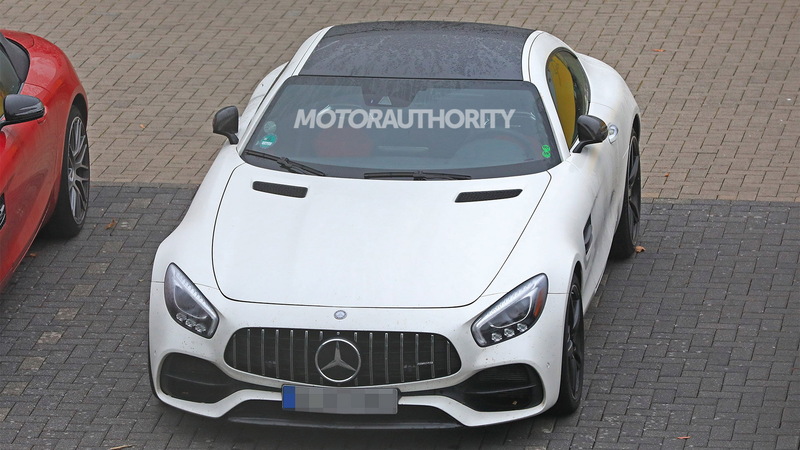 We should find out soon as AMG is expected to introduce its updated GT in the first half of 2019. A flagship Black Series is still coming and should make its debut in 2020.